I like the looks of masonry structures for my 50’s scenes with only a few wood ones as in reality, most of them burned down by then. 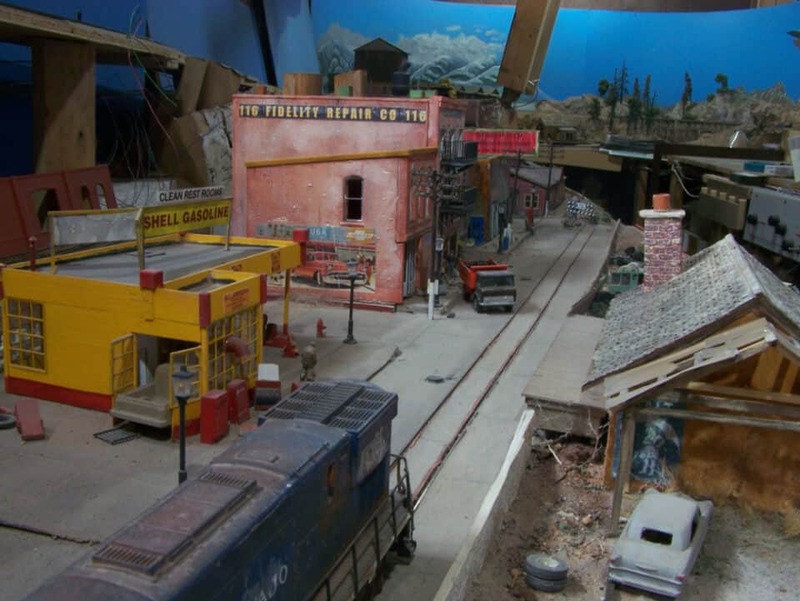 This angle of the scene is not appreciated as the viewer would have to lean over the layout to see it this way. The streets are laid out at an angle to the layout edge to avoid those parallel lines that make scenes boring.